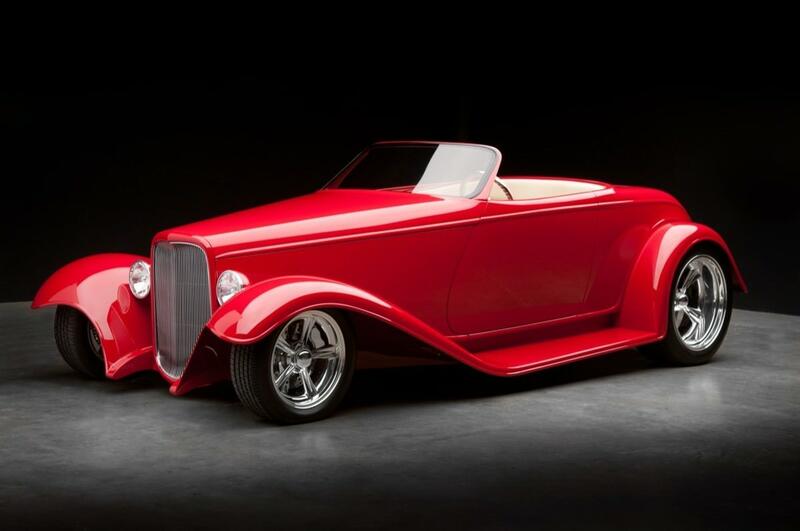 1932 Ford Roadster "Boydster II"
The Boydster II is a stunning example of three of the best custom builders and designers coming together to create a truly timeless design. 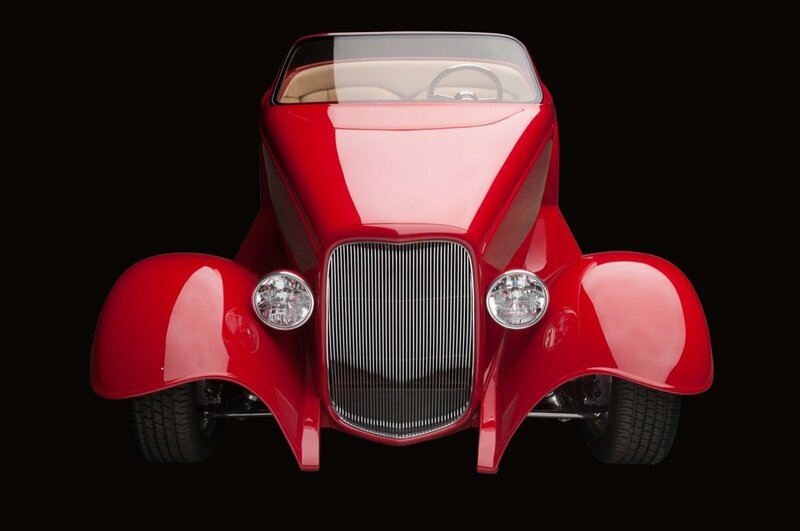 Only three all steel Boydsters were built. 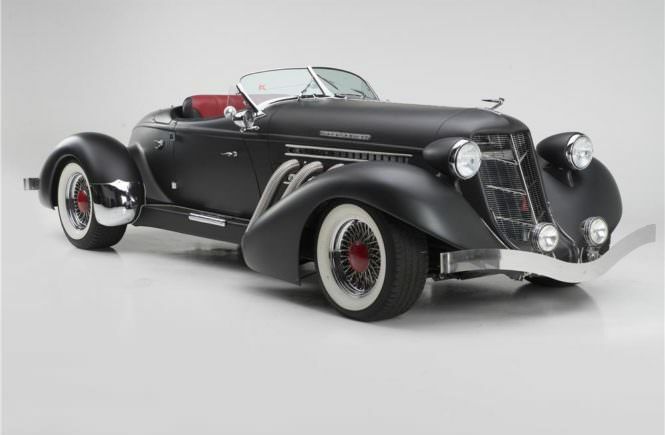 From the custom grille, to the custom metal dash, to the fenders and running boards mounted into the side rails to allow the cars to sit lower to ground, Boyd Coddington, Chip Foose, Bobby Alloway, and George Lange created a truly time “must have” car for any serious collector. 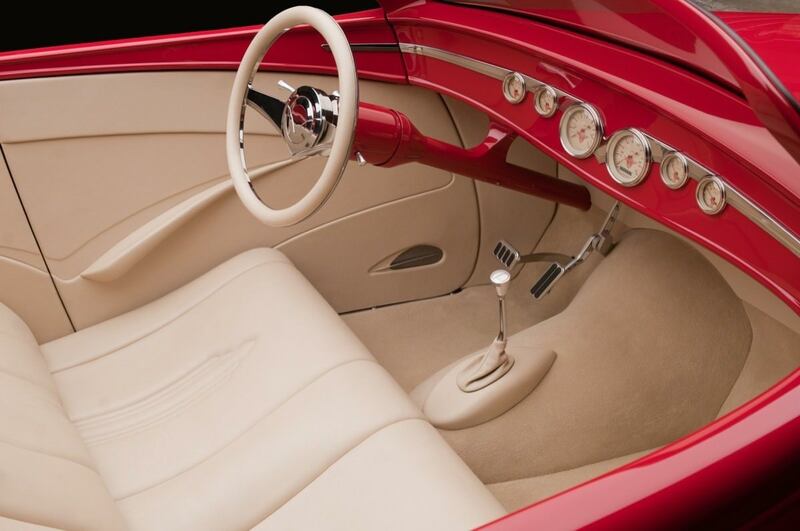 The rear end is based upon a Corvette independent suspension centersection. The factory crossmember was removed, and it has custom fabricated mounts. 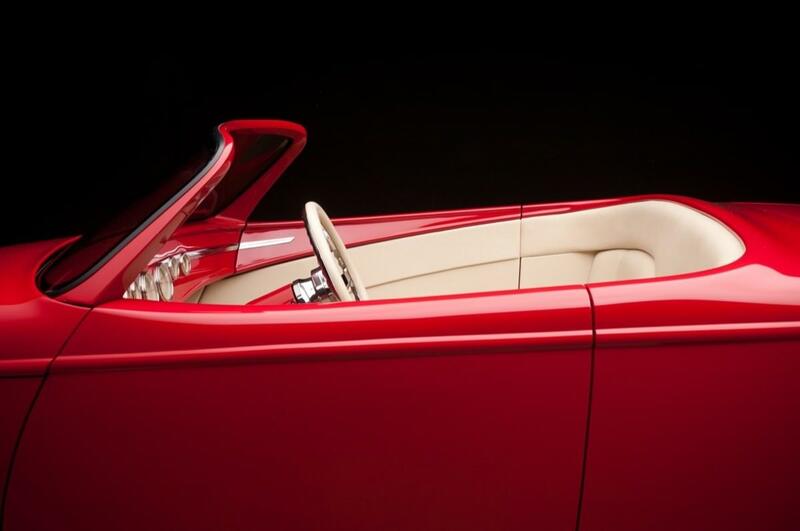 Features include custom control arms and hub carriers by Boyd Coddington, as well as custom-fabricated brake brackets and rotors. The pads have machined covers, incorporating a male/female pin to hold the pads, eliminating the cotter pins. 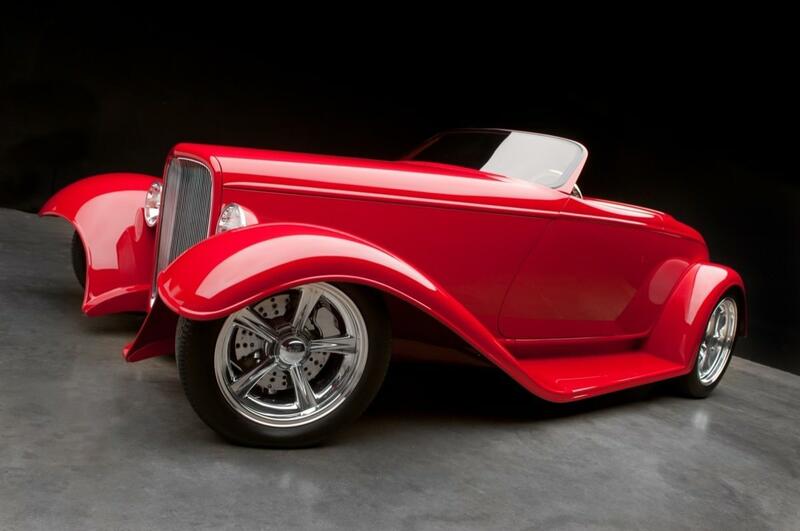 The wheels are Boyd Coddington spindle-mount wheels, with no lug nuts and hidden fasteners. 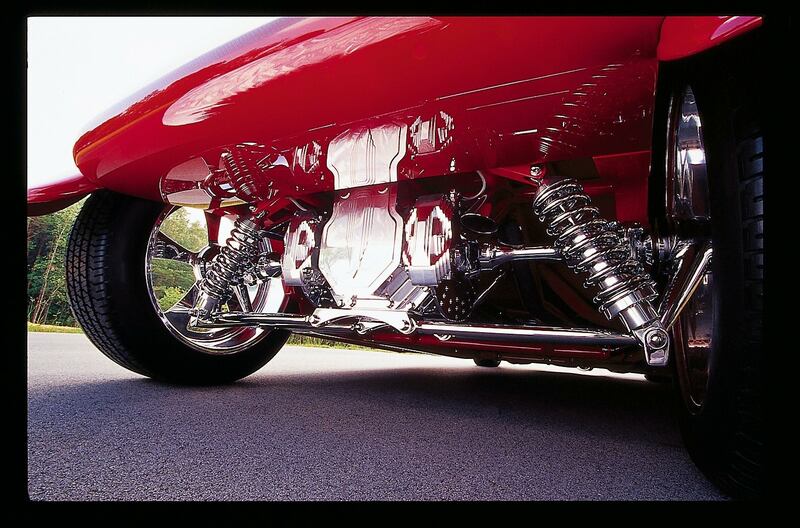 The powerplant is a 454 fully polished aluminum ZL1 block (number 12 of a limited run of 211) from GM Performance Parts. 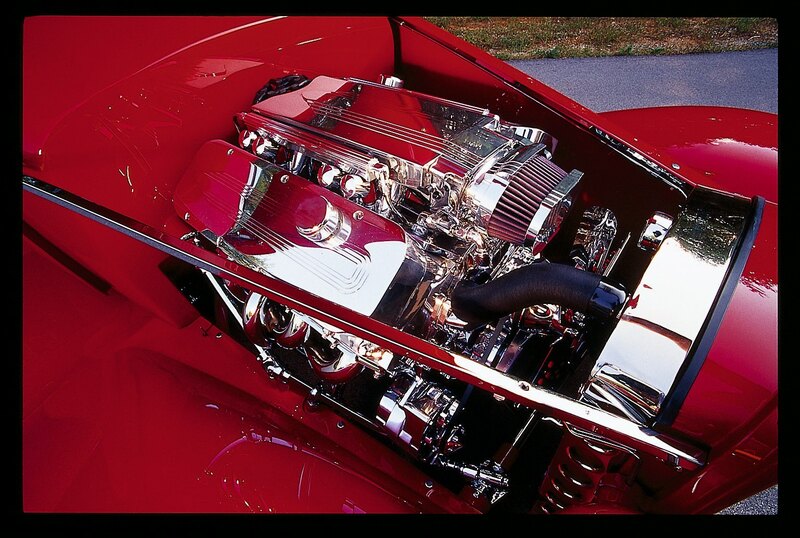 Polished aluminum heads, topped with custom billet valve covers. Hand-made intake, incorporating a custom fuel injection system, and a billet MSD ignition.